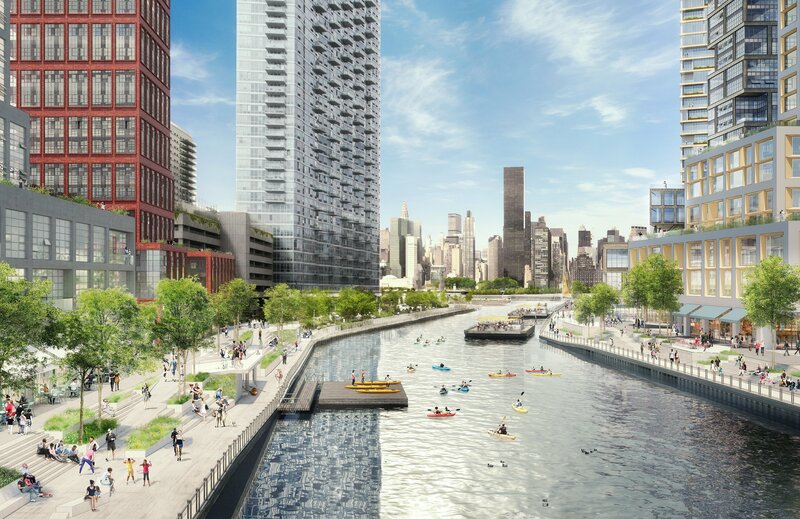 The plastics company, Plaxall, announced on Tuesday a massive rezoning proposal to allow for a mixed-use district in Anable Basin, the area surrounding a 149-year-old inlet located in Long Island City. Since founding the company more than 70 years ago, the Plaxall family has purchased and rehabilitated properties in the neighborhood and currently manages over one million square feet of space. 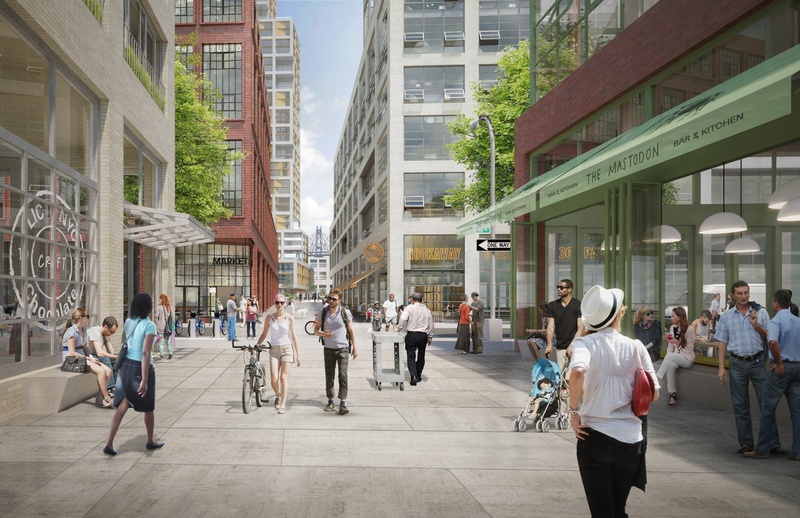 Achieved through rezoning, the proposal calls for 335,000 square feet for industrial uses, 4,955 housing units with 25 percent of them affordable, a 700+ seat public school and a new, elevated promenade. If the rezoning is approved, construction is anticipated to begin in 2020 with a completion date in 2034, but no official timeline has been set. President of Plaxall, Jonathan Drescher, said he, along with the family, have carefully crafted a rezoning framework. “Through our plan, the new Anable Basin would be a place where people live and work in the same place – enhancing quality of life, productivity and easing the demands on transit and energy infrastructure by placing workplaces close to home,” Drescher said. The rezoning would create a live-work, mixed-use district with a 335,000 square feet for production and light industrial uses for artisans, tech-startups, and other creative fields. 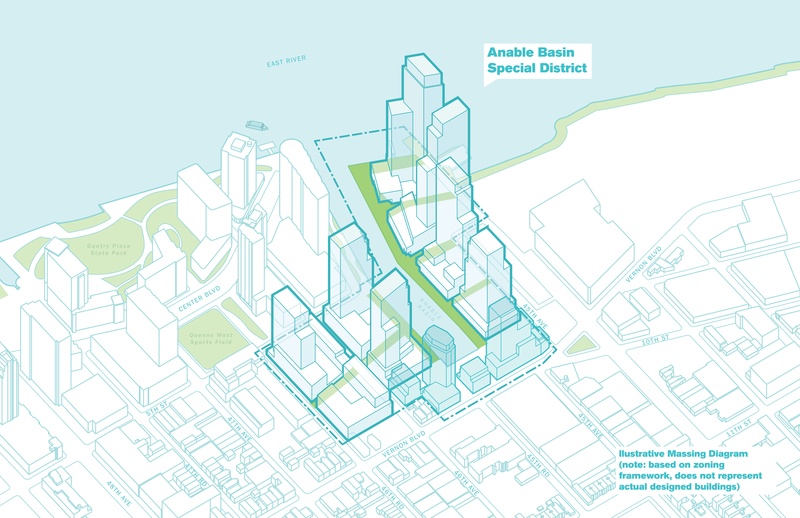 According to the proposal, Anable Basin would support at least 2,200 to 2,600 permanent jobs and generate $450 million in annual economic output. About 10,000 construction jobs are anticipated. Once completed, Plaxall’s proposal will allow for 4,995 housing units with approximately 1,250 affordable units set aside through the city’s Mandatory Inclusionary Housing program. 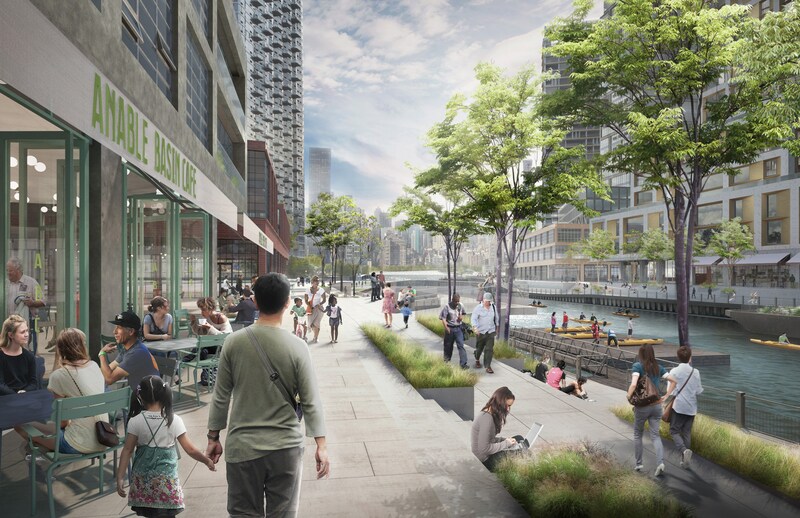 To activate the East River waterfront, the development also calls for 3.1 acres of open space, creating a bi-level esplanade that wraps around the Basin with pedestrian lanes and space for kayak docks. It would better connect to Gantry Plaza State Park, which also offers a stop on the NYC Ferry’s Astoria route. If approved, a 700 or more seat public school will be built on a site at 11th Street, several blocks from the Anable Basin rezoning area. The project might also include a 30,000-square-foot space made for community facilities. The live-work project is similar to TF Cornerstone’s plan for a two-tower complex on four acres of land owned by the city in the Anable Basin area. The 44th Drive site will have 100,000 square feet of manufacturing space and 1,000 apartments. One tower is expected to rise 650 feet, with other reaching 500 feet tall. Construction is expected to wrap up in 2022. Plaxall’s rezoning proposal for Anable Basin will soon enter the offiical public review process and the company plans on holding informal drop-in sessions with the LIC community about the project.